Offering you a complete choice of products which include kurtis with patiala sets, long length kurtis, block printed cotton suit, chiffon dupatta suits, chanderi suit and dabu printed chanderi suits. 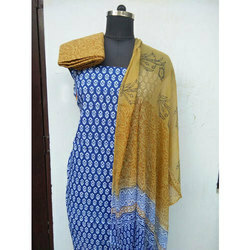 This is indico kurti ,We are leading manufacturer of Cotton Kurtis. 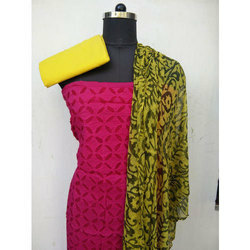 We are manufacturing in natural process and by nature color and super dying fabric. 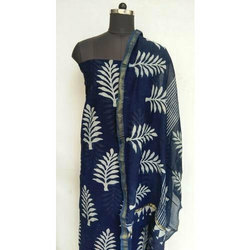 We have expertise in manufacturing, exporting, wholesaling and supplying an exclusive range of Block Printed Cotton Suit. We hold expertise in manufacturing, exporting and supplying a wider array of Chanderi Suit. We are prepared from high grade quality material in chanderi suits set and is duly tested on various quality parameter by our experts. This suit material and dupatta are made with fine Chanderi silk fabric with Zari Embroidery which is long lasting and never fades its golden color. 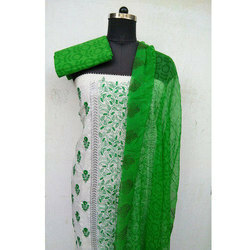 The total length is 7.5 meters for full suit and dupatta. 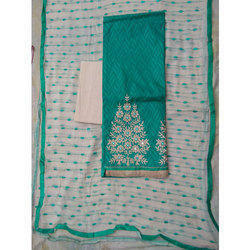 We are offering Patiala Salwar Suit.We obligated to meet the quality standards as per the industry norms. We offer a mesmerizing range of printed garments, which are ideal for ladies, gents as well as kids for various occasions Bagru Print Suit. 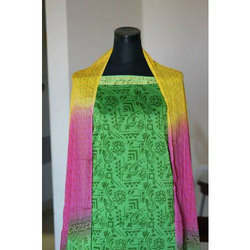 Jacard cotton with cotton dupatta salwar suits sets The fine fabric used in its creation, gives it an increased resistance to shrinkage and fading. 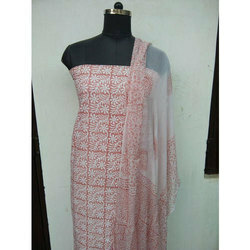 We are manufacturers in all kind of salwar suits set in very good quality. 100 % guaranteed color and fabric. 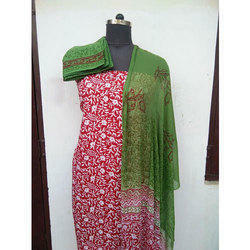 We meet the sourcing requirements of our clients regarding different kinds of Pure Cotton Printed Suits. and can be availed as per the specific requirements of our clients. 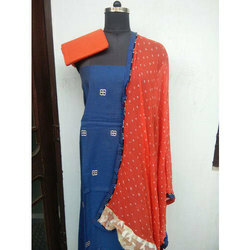 We are engaged in manufacturing and wholesaling Ethnic Salwar Suits. 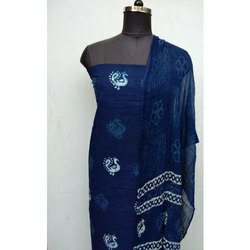 We are leading manufacturer of Hand Block Printed Cotton Suit.